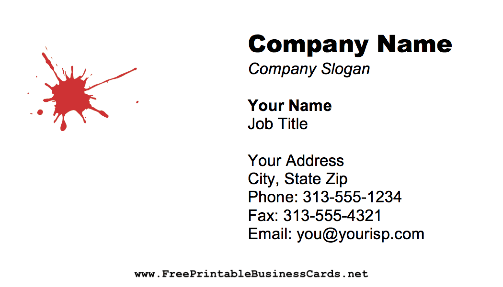 This printable business card has a red splatter on a white background. Viewed abstracted, it could serve as ink for a writer or graphic designer. More literally, it looks like a blood splat and might be nice for a phlebotomist or blood bank.